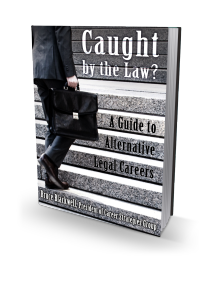 Lawyers feel trapped in their careers for many different reasons. We understand these reasons, and can help separate the emotional from the factual. How many of the following apply to you? (Fact: most of our clients are employed attorneys and do not have much time to devote to their job searches. We have developed a Job Search Success System that allows lawyers to conduct effective, efficient and productive job searches with minimal outlay of time). (Fact: your clients are not experts in the law, so they go to you for help. You are not an expert in job search, but you can come to us for help). (Fact: most of our clients do not know what they want to do next professionally; our programs are designed to give them answers in just a few weeks). The reality is that you are caught by the law only if you want to be. There is a way out.